Who exactly is Bill Clinton, and why was he, of all the brilliant and ambitious men in his generation, the first in his class to reach the White House? Drawing on hundreds of letters, documents, and interviews, David Maraniss explores the evolution of the personality of our forty-second president from his youth in Arkansas to his 1991 announcement that he would run for the nation's highest office. In this richly textured and balanced biography, Maraniss reveals a complex man full of great flaws and great talents. 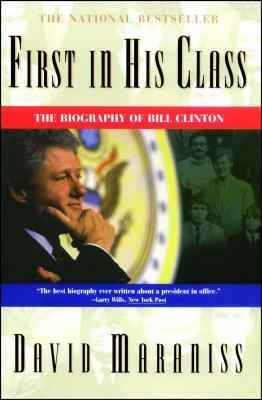 First in His Class is the definitive book on Bill Clinton. Steve Neal Chicago Sun-Times First in His Class is a triumph of American political biography. Jonathan Alter The Washington Monthly This is a first-rate political biography. To understand why the shorthand on this man [Clinton] is so insufficient, this book is essential. Joan Duffy The Commercial Appeal Finally, a real book on Bill Clinton.